Synopsis: The Victorian language of flowers was used to express emotions: honeysuckle for devotion, azaleas for passion, and red roses for love. But for Victoria Jones, it has been more useful in communicating feelings like grief, mistrust and solitude. After a childhood spent in the foster care system, she is unable to get close to anybody, and her only connection to the world is through flowers and their meanings. Now eighteen, Victoria has nowhere to go, and sleeps in a public park, where she plants a small garden of her own. When her talent is discovered by a local florist, she discovers her gift for helping others through the flowers she chooses for them. But it takes meeting a mysterious vendor at the flower market for her to realise what's been missing in her own life, and as she starts to fall for him, she's forced to confront a painful secret from her past, and decide whether it's worth risking everything for a second chance at happiness. "The Language of Flowers" is a heartbreaking and redemptive novel about the meaning of flowers, the meaning of family, and the meaning of love. The Language of Flowers is a gorgeously constructed bouquet; it tantalises the senses, it's exquisite in detail, provokes an abundance of emotions and is quite simply ... irresistible. Weaving hypnotically between Victoria's past and present in alternating chapters, Vanessa Diffenbaugh reveals Victoria's scarred childhood; abandoned, a life spent in foster care, emancipated from the system at age 18, but destitute and homeless. She's damaged, emotionally detached, socially inept and mistrustful, she's built up a defensive arsenal to protect herself from further pain and while she could be perceived as prickly and unlikeable, Diffenbaugh portrays Victoria with such sensitivity that I couldn't help but find her endearing. Her struggle to love and trust with so little experience of being loved herself captured my heart. Victoria's only respite from the foster care system is a year spent with down-to-earth Elizabeth at age 10. She meets her first experience of love and understanding with sabotage and rage but as she slowly learns to trust something tragic happens and she's returned to state care. What she takes from her time with Elizabeth is a love and knowledge of flowers and plants; the symbolism in flower-given messages. Working with Renata at Bloom allows Victoria to develop her gift with flower messages, allows her to express herself in the only way she knows how and introduces her to Grant. I placed a rhododendron on the plywood counter before him. The cluster of purple blossoms was not yet open and the buds pointed in his direction, tightly coiled and toxic. I've always loved giving and receiving flowers, I'd now love my own Victorian flower dictionary to add special meaning to the joy of flowers. The Language of Flowers is a story about love, forgiveness and family, the family you make your own. It has a deep well of pain and sadness but it's ultimately uplifting and a 'keeper' on my bookshelf. Visit The Language of Flowers website to find out more. Vanessa Diffenbaugh is a foster parent herself and is the founder of the Camellia Network in support of youth making transitions from foster care to independence. www.camellianetwork.org. Wow, I never paid any attention to this book, but I know must get it. It sounds really good and sad. Great review. 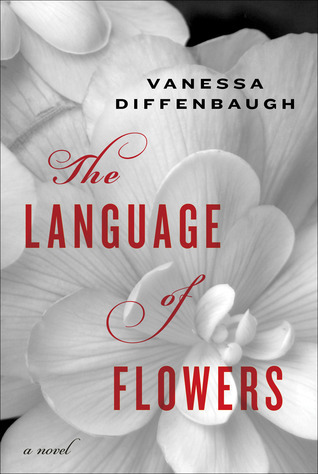 I've had my eye on The Language of Flowers, it does sound like a great read. I enjoyed your well written review! I loved all the flower descriptions and meanings too. This one's a favourite read, hope you all love it as much as I did! @Naida hope you can visit often, will pop by your blog too! This makes for the 2nd 5 star review I've read in the past few days...must read this book! I'm glad to find someone else who enjoyed this - I loved it as well! 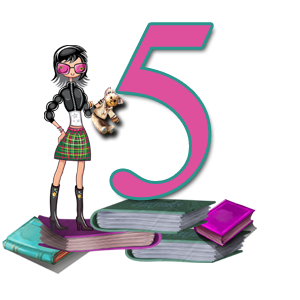 I loved this book, too! It would have been so easy to "tell" us about Victoria, but "showing" us was so much better...and revealed the subtleties, as you point out. Having worked with damaged children and flawed parents for many years, I can totally connect with this kind of story. Loved your review. What a lovely review. I will not look at flowers the same way again. Great review! You are so correct that this is a very romantic read- love of family, nature, new beginnings, first love. I now want my life surrounded by more flowers!